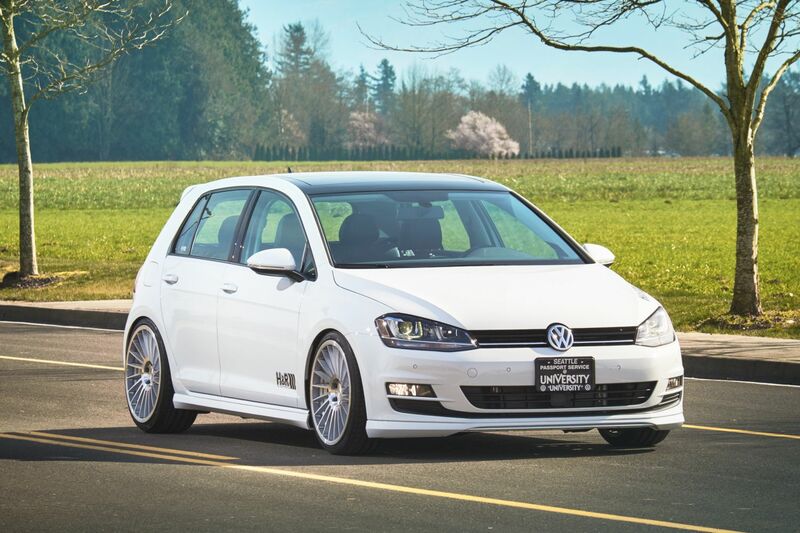 H&R 2015 Volkswagen Golf SE | H&R Special Springs, LP. 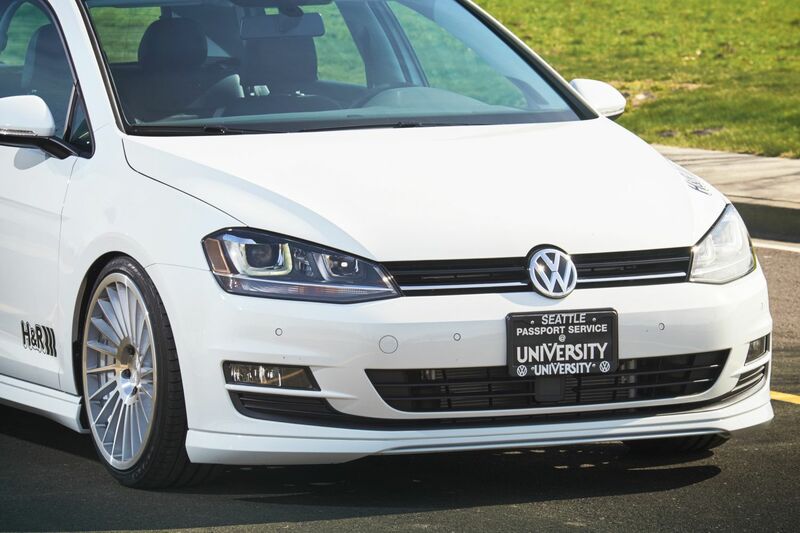 Pure white hot – pure fun! 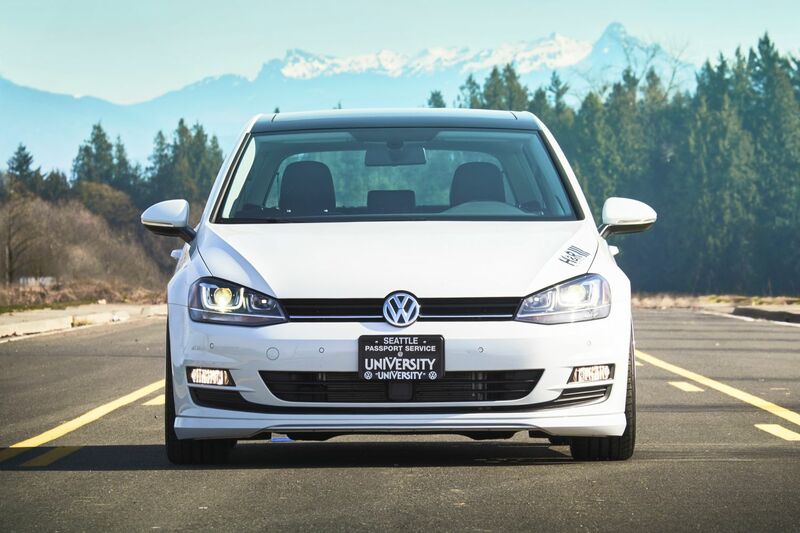 As the new 2015 Volkswagen Golf rolled in, our project experts knew this would be a fun build. 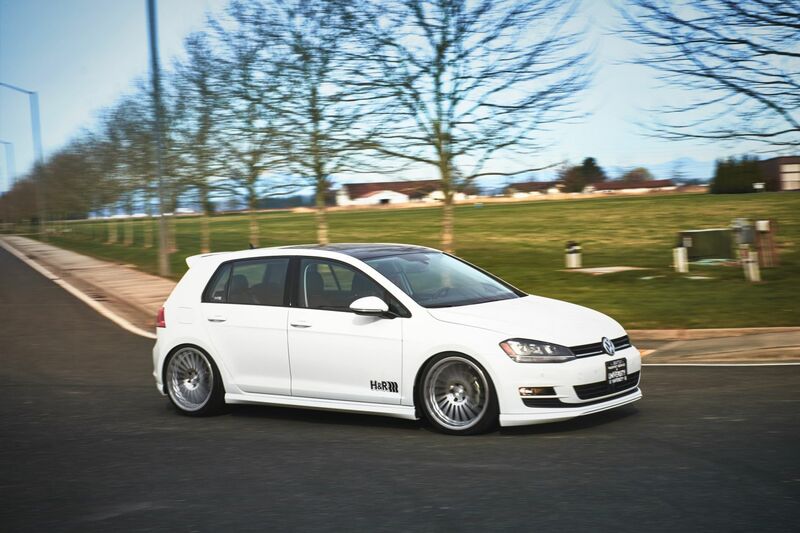 Starting with a new Golf SE 1.8TSI® 4-Door in pure white, we installed our popular H&R Street Performance Coil Overs, and set them to a lowering height of 2.3” front, 2.0” rear for a sporty look and superb feel. Then, our builders added a pair of H&R Sport Sway Bars; 28mm front and 26mm rear, for great turn-in. 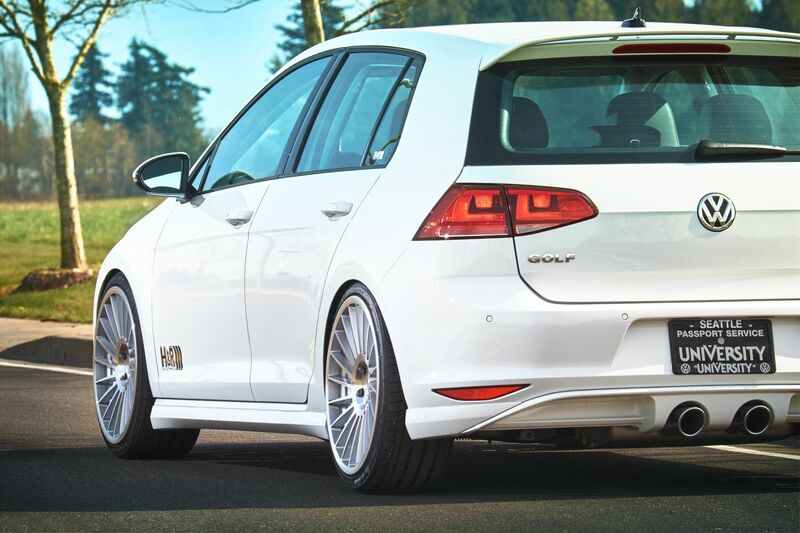 H&R suspension components enhance the look and improve the performance on this hot hatch. 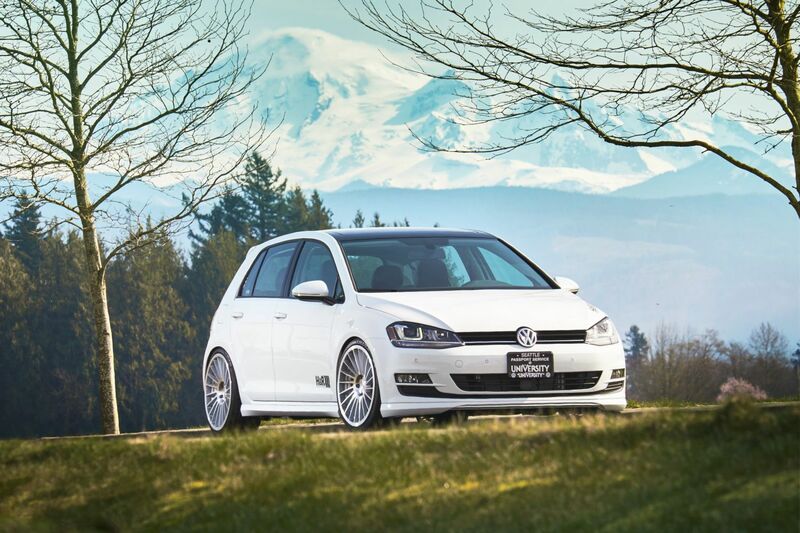 Next, we slipped on a set of H&R TRAK+® Wheel Spacers, opting for 3mm in the front, and 5mm rear for a wide look. 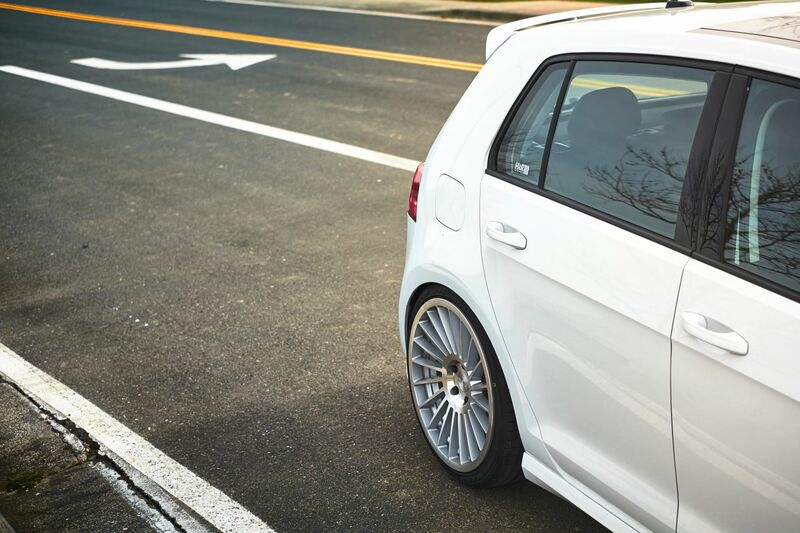 High performance Toyo Proxes® T1 tires and a set of sought-after Rotiform INDT wheels were mounted to complete this fun, ‘hop-in’ and go look. 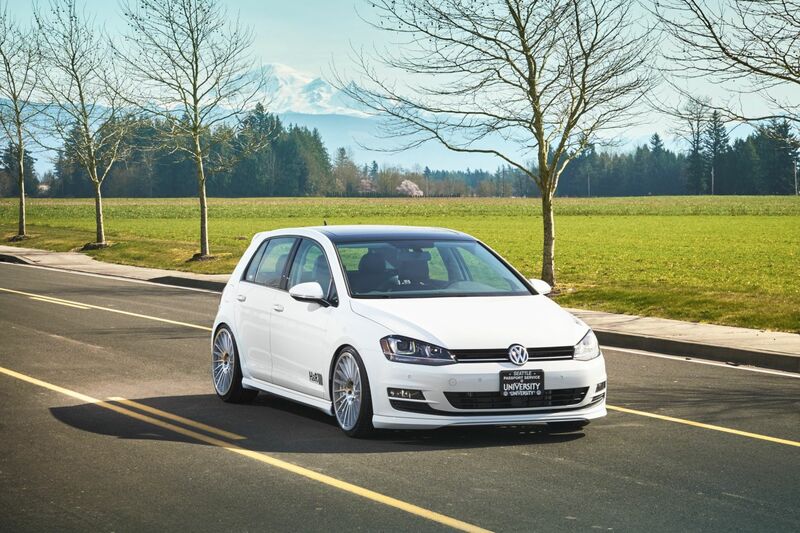 Rounding out the high performance handling, and wheel and tire package, is a complete VW Genuine Accessories body kit with center exit rear valance and twin sport muffler. 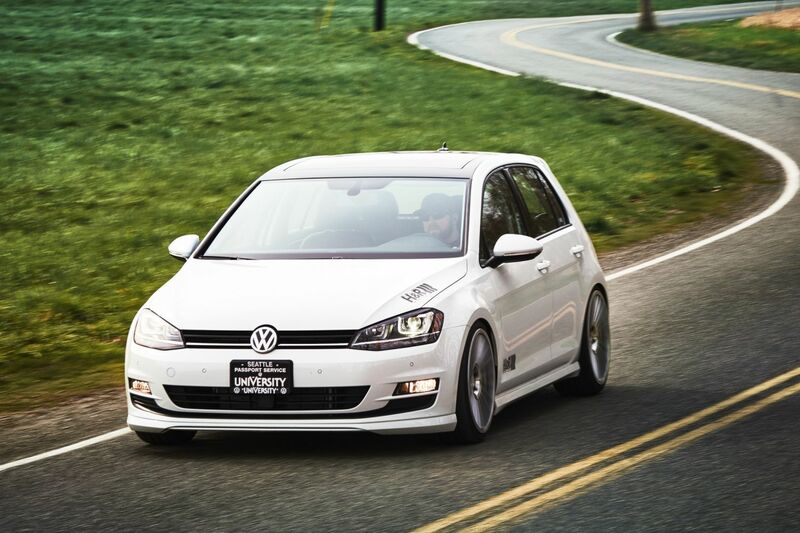 The styling package is topped off with VW’s own race inspired hatch top spoiler.